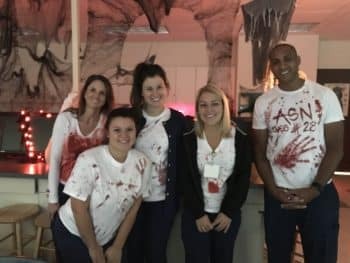 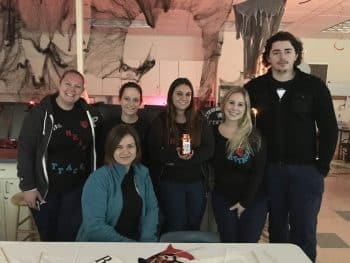 Each semester, Sarasota’s Fundamentals of Nursing students participate in the “Room of Doom.” This activity challenges the students to identify some very real-life safety issues that patients may be faced with. 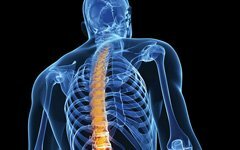 These safety issued include identifying errors in the patient’s medical record, identifying urgent problems with post-operative patients, and identifying general safety hazards that may arise for any patient. 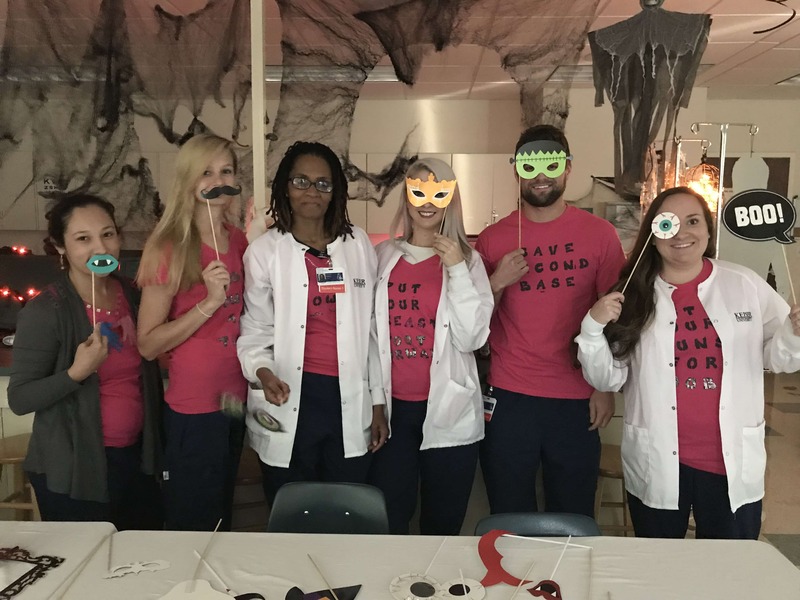 This “Room of Doom” day also includes and outdoor “critical thinking” scavenger hunt, Farm Games – (pharmacology – dosage calculations), and a graded vocabulary quiz. 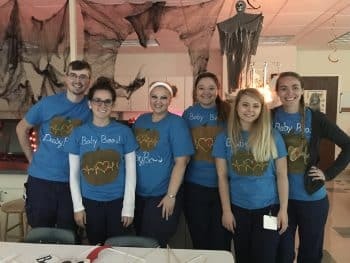 Students work in groups six and are allowed to create a team t-shirt to wear for the day.